Last edited by 2112; 09-17-2018 at 12:19 PM. 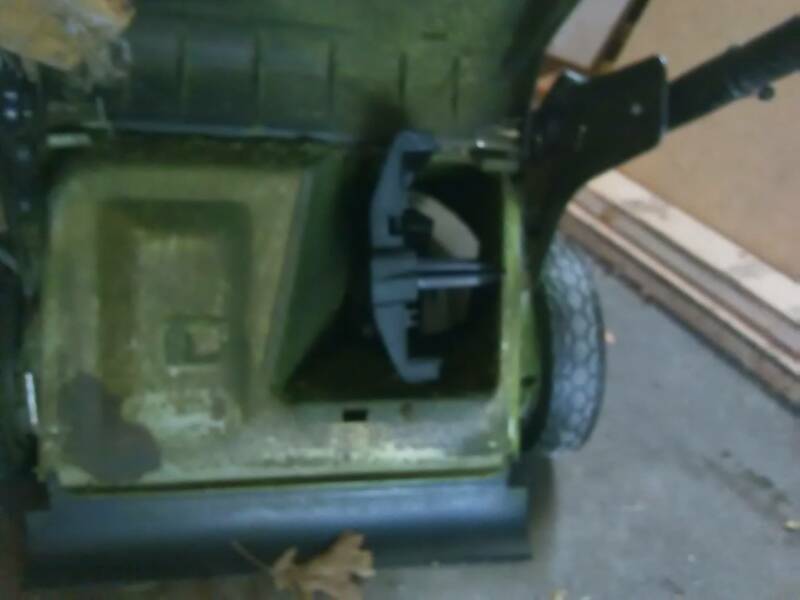 The mulching plug helps to curve the inside of the mower deck for more efficient mulching. 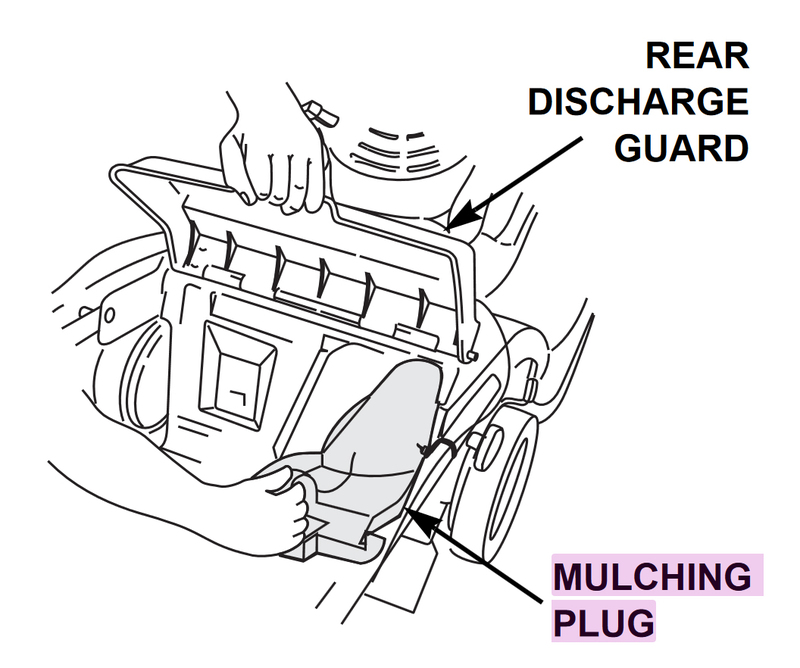 Install and remove the mulching plug by raising the rear discharge guard as shown. The mulching plug only fits one way. Remove the mulching plug when using a grass bag. I recall I had trouble figuring out just how to slide that plug in...I think yours needs to be turned 90 Deg CCW....then it will slide fully in, drop down and lock in place...Hard to describe...but goal is to reshape the blade area, not to fill up the exit opening to bag..
You guys are correct. After reading in the manual, (thanks for the link). I retried it and with the handle facing up it fits in there. The scoop part fits toward the top. Now, I feel like an idiot. I do have both blades installed but may need the blades sharpened, or replaced as I just got this. Thanks for the help. Mark / Ohio likes this. At least you should feel like a happy idiot. Remember that the stupidest question is the question never asked.